Calls to raise the age of criminal responsibility from 10 to 12 have been rejected by the government. 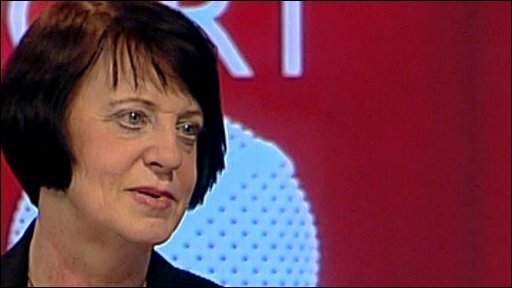 England's children's commissioner Maggie Atkinson had told the Times that most criminals under 12 did not fully understand their actions. But the Ministry of Justice said those over 10 knew the difference "between bad behaviour and serious wrongdoing". Dr Atkinson said James Bulger's killers should have been helped to change their lives and not tried in an adult court. She later issued a statement in which she said she wished to put into context her views on "such terrible atrocities" as James Bulger's killers and two young brothers who tortured other children in Edlington. Dr Atkinson said in the statement that such children were "a danger to themselves and to others" and that they should be contained in secure settings. The age of criminal responsibility in many European countries ranges between 14 and 16, but in England, Wales and Northern Ireland remains at 10. In Scotland, the age is currently eight, but legislation is being passed to raise it to 12. A Ministry of Justice spokesperson said: "We do not intend to raise the age of criminal responsibility. It is not in the interests of justice, of victims or the young people themselves to prevent serious offending being challenged. "Custody for under-18s is always a last resort and is only used for the most serious, persistent and violent offenders. "Only 3% of young offenders who admit or are convicted of an offence receive a custodial sentence and the government has expanded the range and intensity of community sentences available for young people, as an alternative to detention." Dr Atkinson told the Times that "even the most hardened of youngsters who have committed some very difficult crimes are not beyond being frightened". 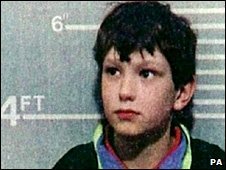 She said it was also wrong that Jon Venables and Robert Thompson, who were 10 when they snatched two-year-old James from a Merseyside shopping centre in 1993, had been tried in an adult court, not a youth court. "What they did was exceptionally unpleasant and the fact that a little boy ended up dead is not something the nation can easily forget, but they shouldn't have been tried in an adult court because they were still children," she said. The system must recognise that although people may be offenders they are also children, Dr Atkinson added. "[Venables and Thompson] needed to be in a contained environment like a youth justice facility and to be given whatever programmes would help them turn their lives around." In her later statement, she said: "I empathise with the pain and anguish felt by all the families of the victims involved. Children who carry out such atrocities and other serious offences need to understand the severity of their actions. "The age of criminal responsibility in England is one the lowest in Europe. "The statistics show that we are in danger of criminalising too many children and young people by locking them up for committing far less serious crimes." Dr Atkinson's comments come in a week when James's mother, Denise Fergus, met Justice Secretary Jack Straw to discuss Venables' recall to prison after a suspected breach of the licence under which he was released in 2001. The shadow justice secretary, Dominic Grieve, said changing the age of criminal responsibility was "not the answer". He said: "We need fundamental reform to address the causes of offending by children, including family breakdown, poverty, gang culture and school discipline." Liberal Democrat leader Nick Clegg said he agreed with the principle that the nation was "criminalising far too many young children". He also said there should be efforts to stop a transformation of the "young offenders of today into the hardened criminals of tomorrow". Juliet Lyon, director of the Prison Reform Trust, said it "would be wise to review the age of criminal responsibility, taking into account standards set by the UN Convention and international comparisons". Professor Rod Morgan, former chairman of the Youth Justice Board, said: "In no other country in Western Europe would Jon Venables have been prosecuted. "A welfare approach with very young children offers a much greater range of opportunities and much better outcomes than is the case if we take a wholly criminal justice response." Prof Morgan said that instead, the child would be subjected to family court proceedings and would probably be taken into care. After snatching James, Venables and Thompson walked him more than two miles to a railway line, where they beat him to death. The killers were given new identities on their release in 2001. The Crime and Disorder Act 1998 abolished the presumption the under-14s in England and Wales did not know the difference between right and wrong. Until then those aged between 10 and 14 would only be brought before a criminal court when prosecutors could show they knew their actions were wrong.